« I want to be a green girl. Tom Cruise, in all five feet seven inches of his manic couch-jumping glory, is going to be hanging out in the Burgh from October until January. Tom Cruise will be coming to Pittsburgh to film Paramount Pictures’ action thriller “One Shot,” the Pittsburgh Film Office confirmed today. Filming will take place in and around the city from early October through the end of the year, said Dawn Keezer of the Pittsburgh Film Office. 1. How many scientology tents will he set up in the Burgh? 2. I don’t understand scientology, but do they by chance have a pigeon hex I could use? I’m pretty sure pigeons have some thetans I can’t tase out of them. 3. If a Mountaineer lights a couch on fire, how long will it take Tom Cruise to put it out? 4. 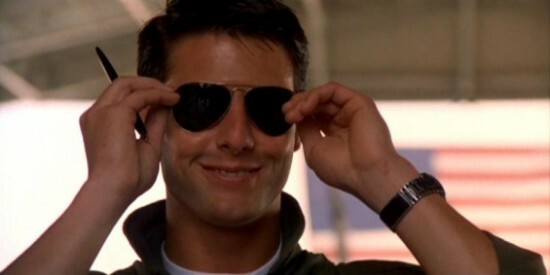 Tom Cruise is weird and his religion scares the poop out of me, but he’s cute and accessible and, first and foremost, he is Maverick, one of my first ever loves. SQUEEEE for Pittsburgh, the new Hollywood. i’m a big fan of the jack reacher books and not real happy with who they picked to star in this…the character is like 6’5″ and 250 pounds, wtf? @ Baba Wawa Says – I couldn’t agree more! Bad casting for this part. @ sns & Baba Wawa – couldn’t agree more. Tom Cruise is definitely not who comes to mind when imagining who would play Jack Reacher. He’s gonna be shorter than all his co stars! My dad hates the casting choice so much he feels the need to tell me about it every chance he gets. since he’s so short, he’s definitely a reacher. How do you guys feel about Catherine Heigel as Stephanie Plum in “One for the Money”? I’m totally not on that bus. I wonder at what point burghers will begin discussing his private habits? a not-so-big hollywood secret: he’s gay! Just don’t like this guy. Not familiar with the movie/book that he is going to be filming in Pittsburgh, but he just finished Rock of Ages, where he played a rock star. Really… can’t see that either. I’m not sure how I am supposed to stay married with my wife given all of these guys being in town, Taylor Lautner, Christian Bale, Tom Cruise.. Hell, I think she might actually BE MARRIED to Kenny Chesney but she keeps me around cuz he only passes through town once a year!!! @bucdaddy: since when did a potential felony charge stop a dedicated couch-burner? I guess we’ll find out after the Backyard Brawl, one way or the other. Does it really even matter what role Cruise is playing? It all ends up being a different version of Maverick anyway. I think Tom stopped “Acting” years ago, now he just sort of loiters in front of the camera. Either way glad another crew is working here. I hope so. I look forward to hearing the whining that will emanate from the first 18-year-old “kid” (i.e. emancipated adult) who, when confronted with doing serious time, insists he was just engaging in “harmless fun” that put lives at risk. Of cour se, I may be a little more law-and-order than the average guy. Years ago they had a problem with fans rushing the field and destroying the goalposts after games, not to mention the bonfires in the streets, and the university and the city wrung their hands and rent their garments worrying about what was the minimal force they could use to try to bring the miscreants in line. I thought they went about it bass-ackwards. They were starting with the least possible force and moving forward. I wanted them to start with the greatest possible force (shoot to kill) and move backwards. If we went a year without any incidents, we’d reset phasers to “stun” and so on, until people who want to consider themselves grownups begin to act like it. Tom Cruise is not, cannot, nor ever will be Jack Reacher. My hubby and I have all of the books, and he’s already categorically refused to see the movie. This is just awful casting. @Noelle – I think Heigl may do a decent job in One for the Money, but we’ll see. I think Debbie Reynolds as Grandma may save the movie. Sherri Shepherd as Lula has possibilities. I’ve been reading the books since there were only two. Some are great, some so-so, but I will say I’ve never laughed so much reading any other books. @bucdaddy: I’d expect no less from one who has as big a man-crush on Kojak as I have. Prolly has something to do with upbringing, too, I’m guessin’. Don’t do anything to a couch in the street that you wouldn’t do in your living room with your grandmother sitting on it.